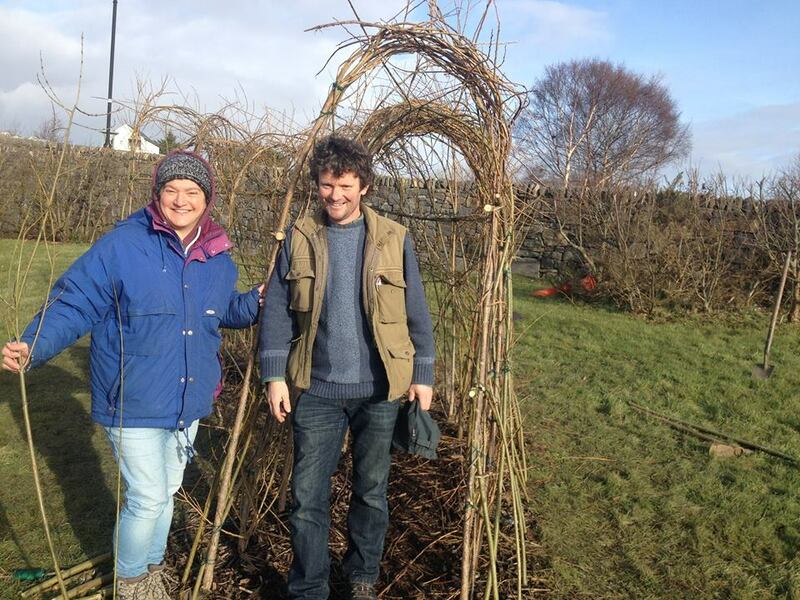 March 2015: A wonderful morning learning how to weave willow shapes with Willie McDonough at Westport Skate Park. 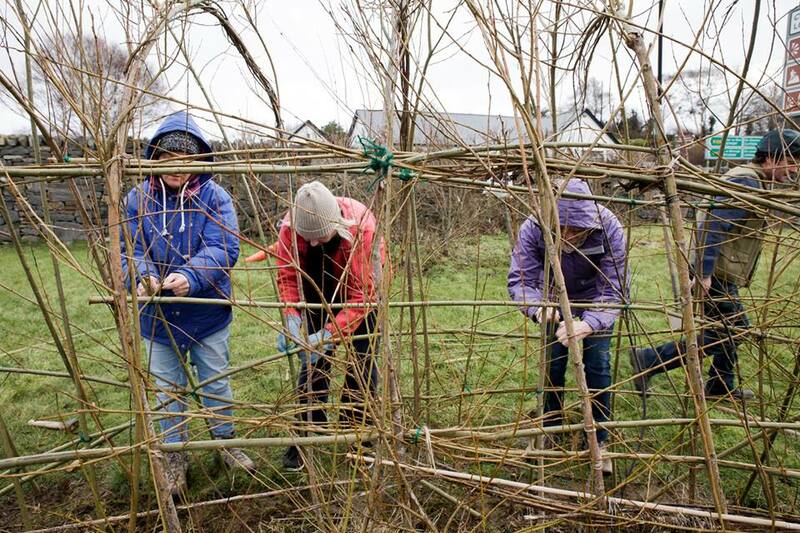 Despite the freezing cold a number of people came out to help us strengthen the willow tunnel which we’d created in 2013 and which has received quite a battering from the wind over the last 2 years. April 2013: At Westport Town Greenway, Skatepark area.Construction of a willow tunnel. 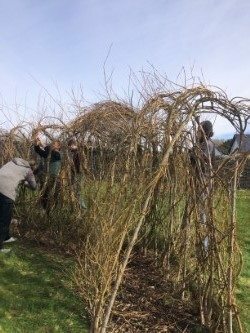 This forms a living play area for younger children and next year the structure will be extended to create a willow dome or tunnel adjacent to the old train tunnel. Willow is very beneficial to wildlife. While catkins provide a rich source of nectar for bees in spring, willow leaves can be eaten by many kinds of caterpillar. They also support large numbers of aphids and sawflies which are important foods for birds. The idea of growing an edible landscape along the Great Western Greenway originated at a Westport community enterprise event in 2012 (SHeDD Talks), which focused on the power of the community to inspire local food growing projects. If you would like to take part in one of our workshops please contact us. Are you interested in joining an upcoming project as a volunteer? Would you like to participate in one of our workshops? Site maintained by William Fahy.